We are moving into the age of convenience. Today’s consumer is willing to pay a premium to have it delivered, have it done for them, or basically to just have it handled. More and more app based businesses are springing up to allow you to get anything from your car washed to your nails done with one click in your home or office. When I owned Corky's, we extended credit terms to just about any company that wanted/needed them. It was a major convenience for the catering buyer to not track down a credit card or have a check cut for us. On average, our outstanding receivables were $25,000 at any given time. That may sound like a lot of money to be owed, but to run a million dollar a year catering business it is not unreasonable. I know for a fact that offering credit terms brought in and kept a ton of catering business. 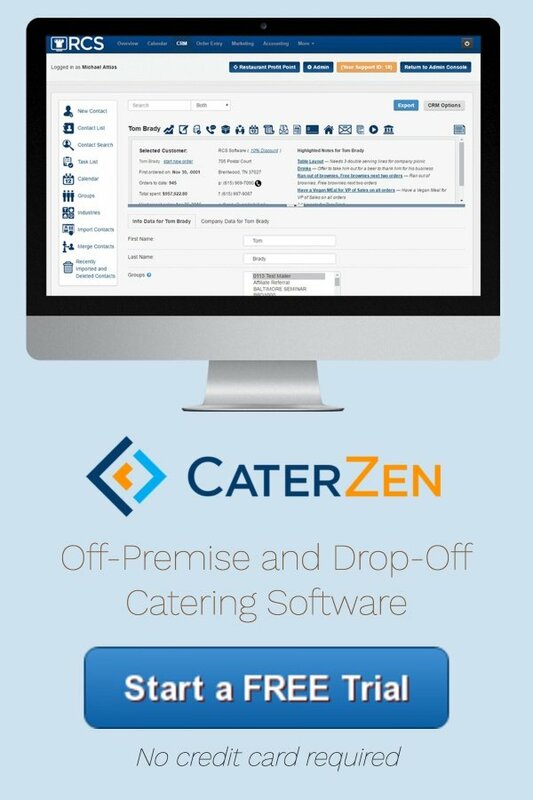 Restaurant Catering Systems’ catering software has invoicing built into the system. An invoice is automatically generated with each invoice. This saves you the time of taking your catering ticket to your bookkeeper and having her create and send an invoice from accounting software like Quickbooks. Even though we required all outstanding invoices to be paid in fourteen days, we found some of our catering clients cared, and some didn't. The companies who made a practice of dragging out payments to us, did it to all of their vendors. If we stamped TERMS: NET 14 with a bright red rubber stamp, they still would have ignored it. Of course we called to talk to the person in charge of accounts payable to get them on our side to pay quickly. And some times that worked. But even if someone drug me out 30, 60 days or longer, assuming a good client is good for the money, I just went with it. I wasn't paying Amex or Visa/Mastercard 3% to process the transaction (non-swiped transactions and Amex are higher). If I had a line of credit at the bank, I could have let them slide for 6 months before I was financially upside down on the event (just based on interest). I determined I was willing to chase a few people for my money and not risk losing their business. I am guessing there are competitors willing to extend terms. So I figured why give them a reason to leave me. In actuality, I could usually get the person ordering catering and the person cutting checks to be my ally in collections. So if you're going to be in the catering invoicing business, just be prepared for clients that don't play by your rules. Then make a business decision to how you want to handle it. 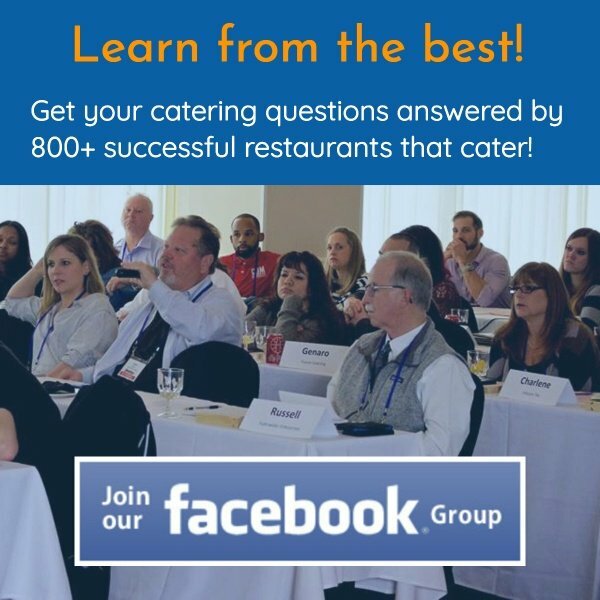 For me the answer was easy: I know by offering credit to my catering clients, I was able to build a following of loyal, repeat catering clients. The convenience of working with me was as important as the food quality. In case you are wondering, in fourteen years, I was maybe scorched a thousand dollars by non-payers. In the grand scheme of things, that’s a rounding error. Besides offering credit terms, what else can you offer your catering clients to make their jobs and lives easier? Focus on that and see your catering sales grow. NOTE: If you are interested in a full day of client nurturing strategies and other catering sales building strategies, please make plans to attend my full day catering seminar in Atlanta on Monday, September 26, 2016. NOTE 2: I’ve had many people inquire about the DVD recordings from Caterpalooza. The 8 DVD set is available and a great tool for you and your team to sell more catering.